I’ve been spending the bank holiday weekend here in the UK trying to catch up with life. I still have hundreds of photos to edit and upload, but I’m making progress. 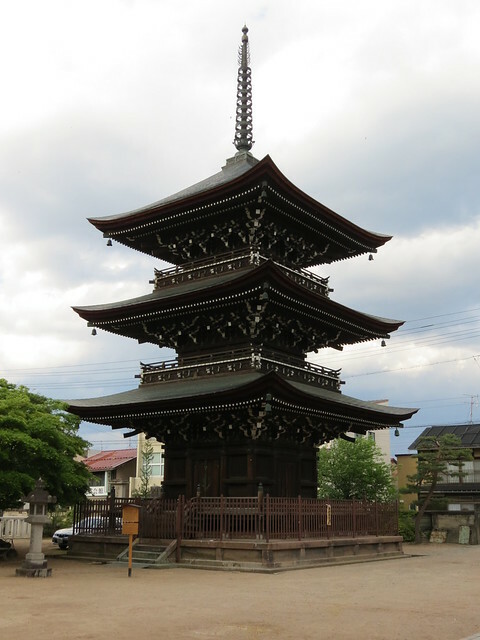 Today I’ve reached 16th May, which was the day I left my tour group behind and made my way to Takayama (高山) by myself. 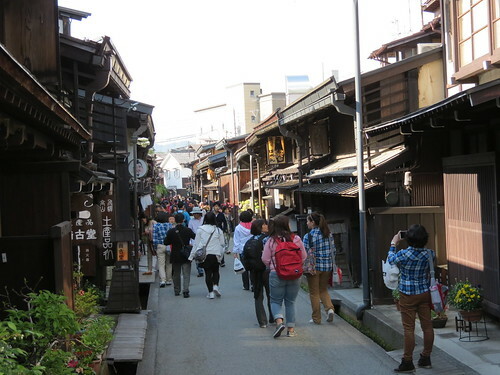 It was my first time to go to Takayama, which is something I’m kicking myself about now. 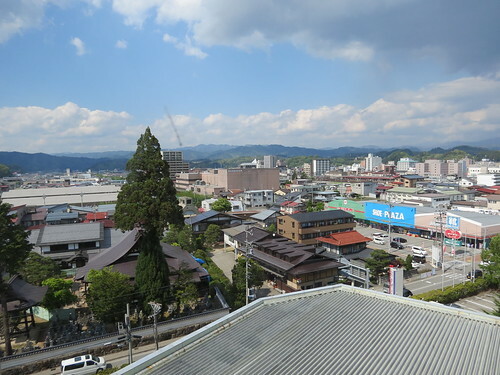 I lived so close to Takayama for two years, and I just can’t imagine why I never thought to go! Unfortunately I only had one night there (and I was technically working), but I still managed to fit quite a bit in. 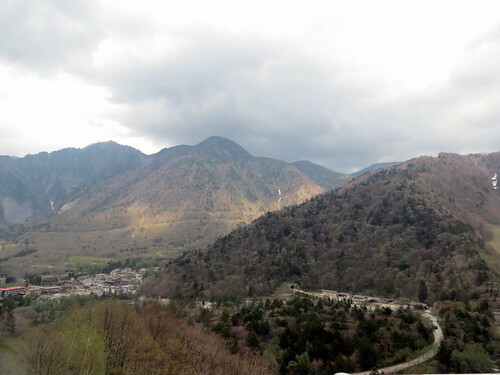 The bus journey from Matsumoto to Takayama was really something! The photos I took don’t do it justice, but the scenery was stunning. …I wandered in to town. 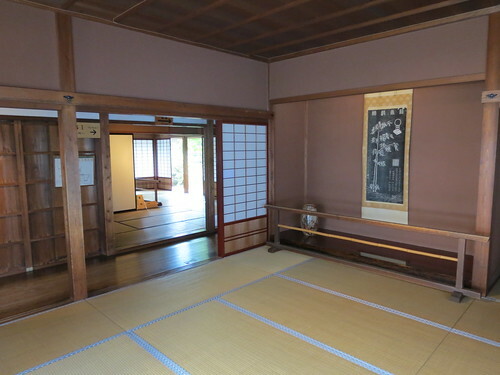 My first stop was Takayama Jinya (高山陣屋). 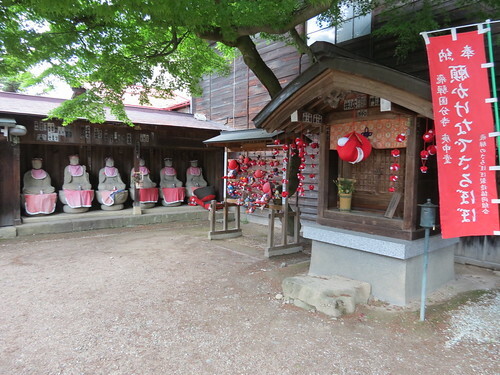 To be honest, I misread this on the map and went along expecting a shrine (jinja = shrine, but this is ‘jinya’), but I was pleasantly surprised with what I found. 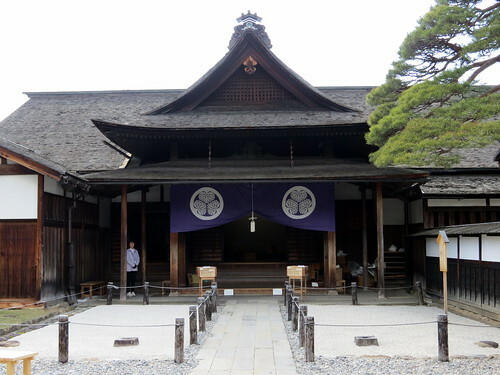 Takayama Jinya was a branch office of the Edo Bakufu (government) from 1692 to 1868. 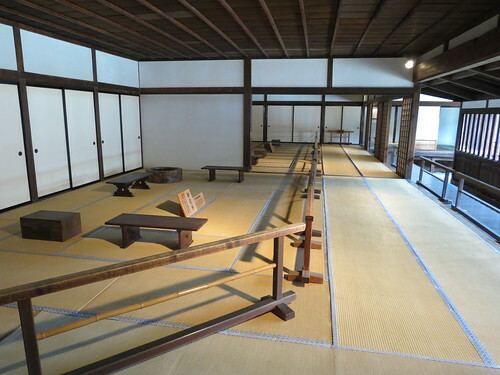 It is a ‘National Historic Site’, and the only existing building of its kind in Japan. 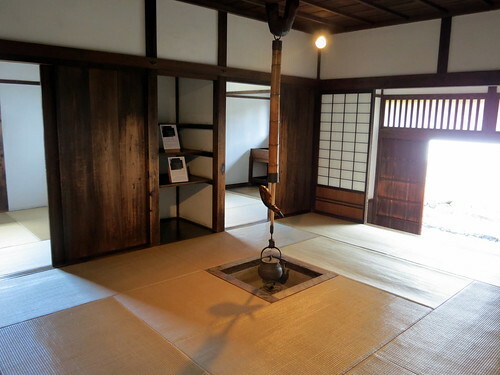 The site is a museum, displaying a number of different rooms, as well as a garden and a rice storehouse. For anyone interested in history this site is a must-see. Incidentally, the word ‘jinya’ means ‘encampment’. One thing that struck me as interesting was the use of a rabbit shape as a nail head concealer. Apparently there are 152 rabbits in the building – Japan just can’t help but be cute! 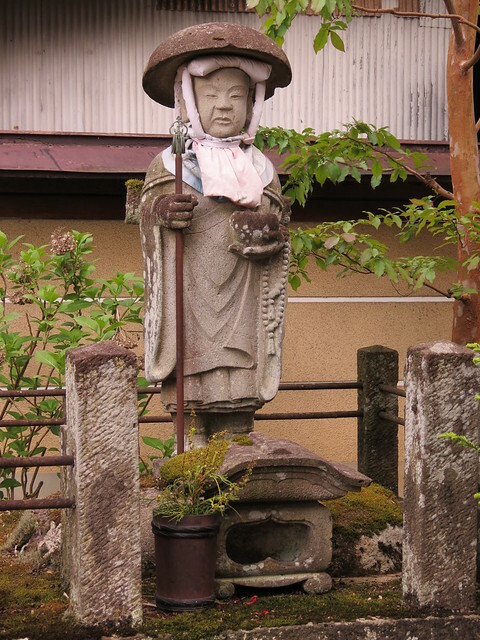 After visiting Takayama Jinya I wandered around the city and headed for the area where traditional buildings are preserved. These old-fashioned streets are an absolute pleasure to wander around. 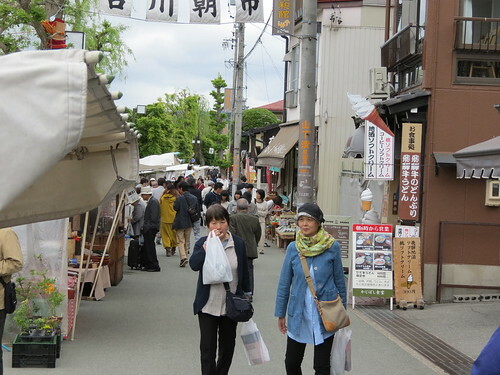 Shops along these streets sell all sorts of things, including local crafts, sake, and of course souvenirs. 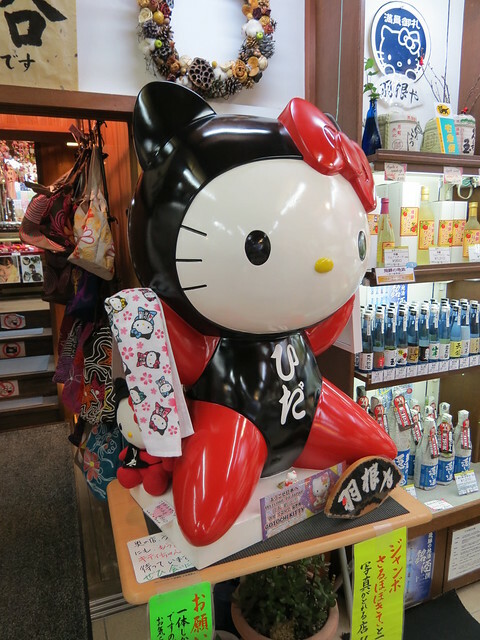 One of the popular souvenirs of this area is the ‘sarubobo’ (さるぼぼ). 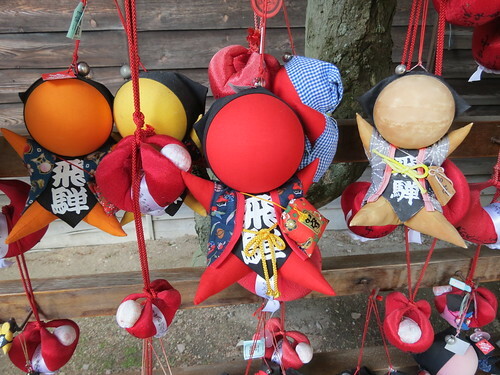 A sarubobo (or ‘monkey baby’) is an amulet or lucky charm. 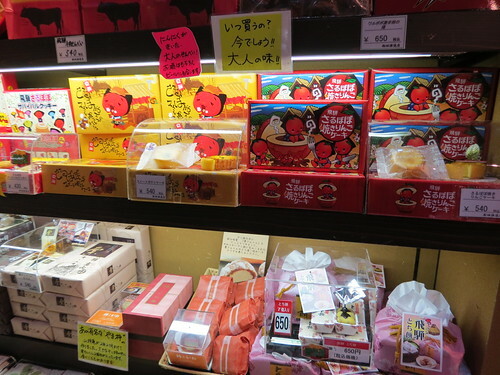 Traditionally sarubobo are red, but these days all sorts of colours and designs are available, even Hello Kitty! 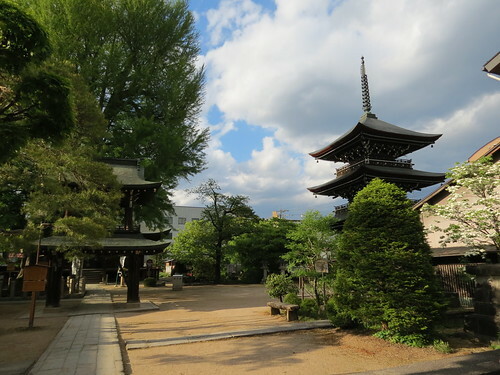 As I wandered back towards my hotel I decided to stop by Hida Kokubunji, a temple on the main street leading into town from the station. 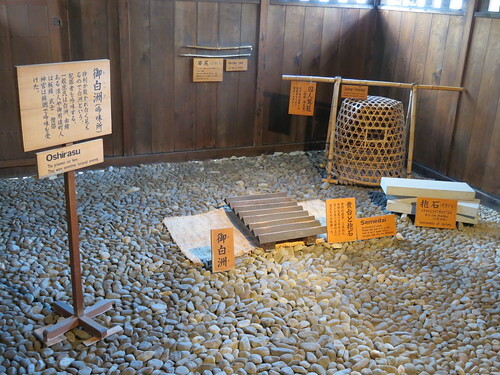 Before I got there though, I found a smaller temple which seemed to be dedicated to children. 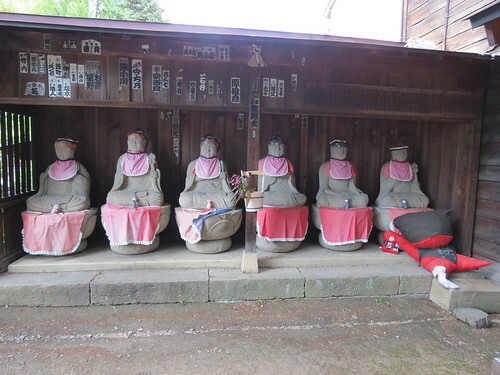 There was a row of Jizo statues, protectors of children, and also some sarubobo. 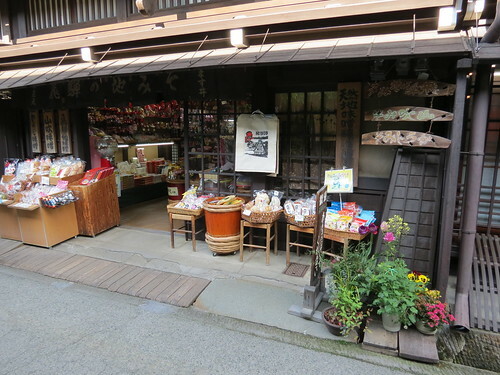 Hida Kokubunji was quiet by the time I go there, but it was already 5pm so that’s no surprise. 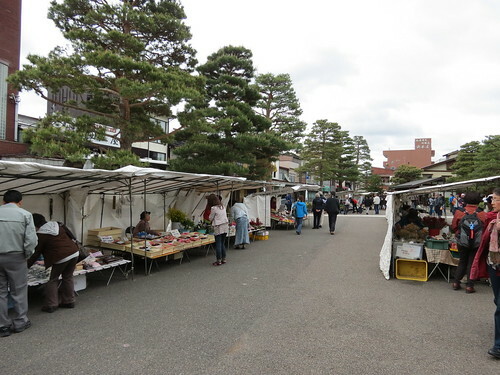 The next morning I got up as early as I could to go to the famous morning markets before my Takayama adventure was over. 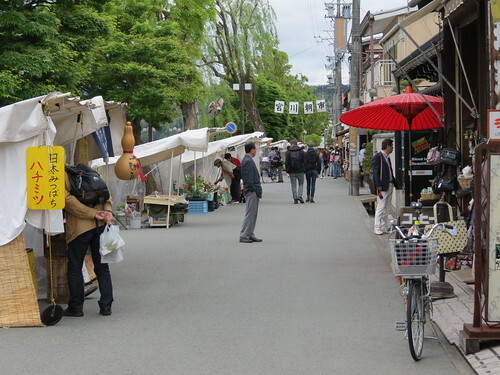 I started at the Jinya Mae Morning Market, which was a bit of a let down, but luckily the Miyagawa Morning Market was much better. 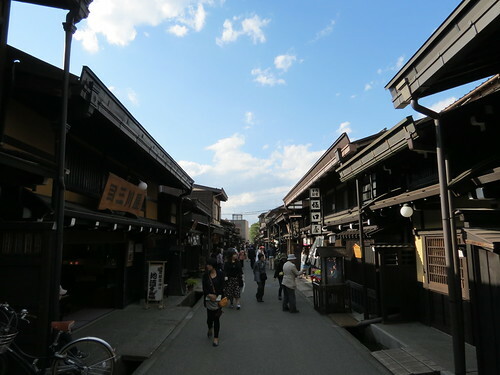 Takayama is a lovely town, and I can’t recommend it highly enough. I really hope I get to go back there and explore in more depth some time. 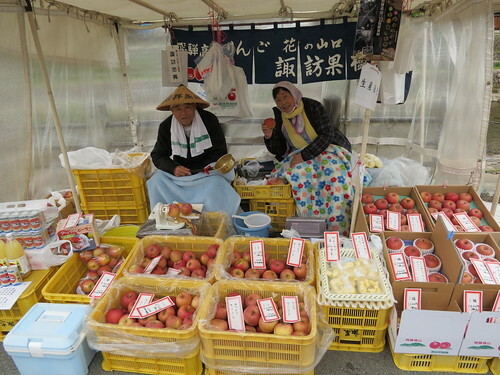 It would be great to go back for the Takayama Spring Festival or Takayama Autumn Festival, as these are among Japan’s top festivals, but it would also be good to go back and just see more of the town and also visit the nearby Hida Folk Village. I bet it must look gorgeous in the winter! 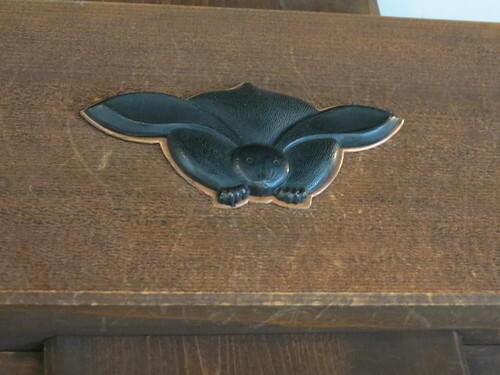 This is such a fantastic post – I loved seeing your pictures. 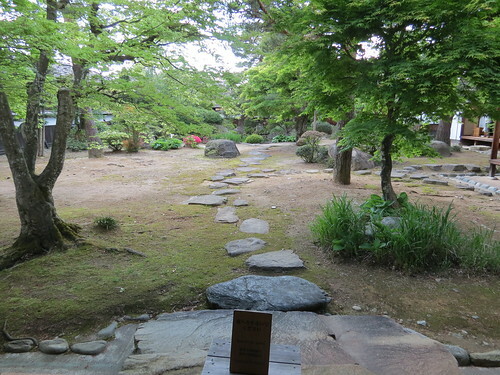 Japan looks as beautiful and amazing as I had imagined. 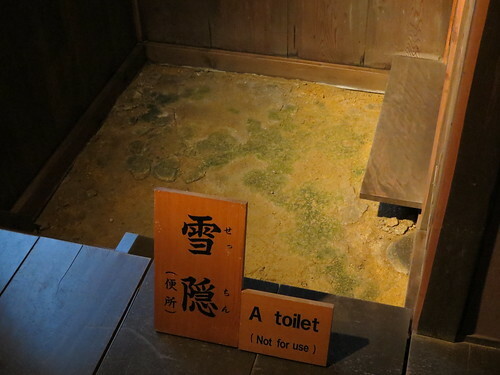 I’m glad that you got to go to Hida Takayama. 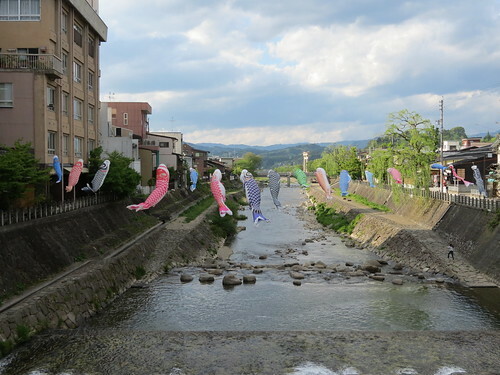 It is one of my favourite places in Japan and we visit a few times each year living close by in Gifu. 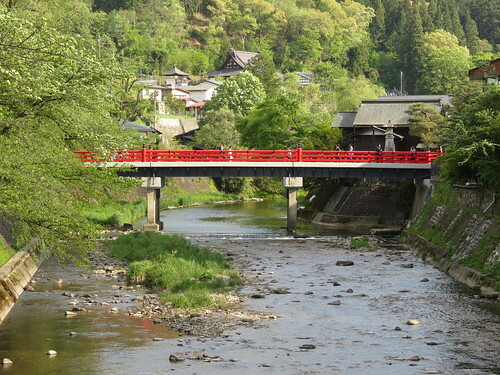 I recommend the Hida Folk Village as well as the Takayama festival if you get the chance. 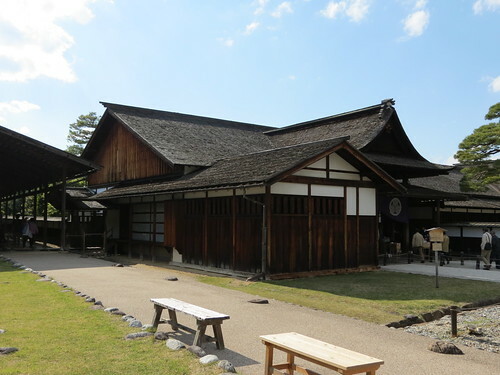 Also try and visit Hida Furukawa, which is a little north of Takayama (15 minute train ride). . Did you try any of the famous Hida beef and sake?